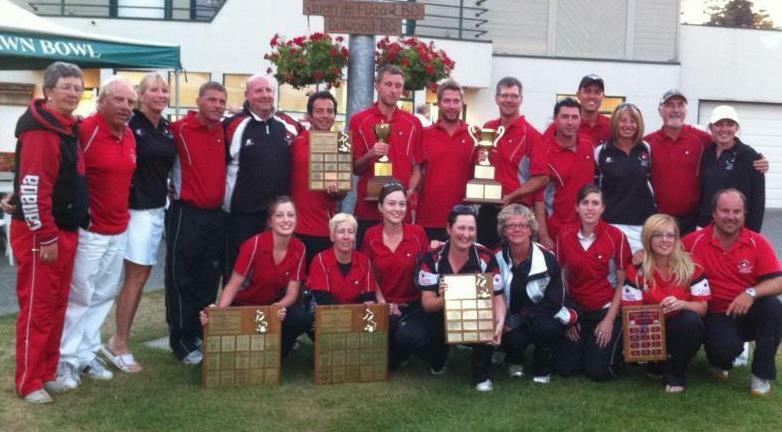 As many know already, the 2012 North American Challenge was a huge success for Canada. Not only did we sweep all seven trophies, but we also set a huge example for the sport in Victoria, BC and the rest of Canada. Both the Jarvis and Folkins sides of the team played some amazing bowls. Our Canadian Team was a vastly younger group than our American counterparts and we had individuals from all over Canada. We also had all experience types ranging from those new to the NAC (like me) to those who had played in the event multiple times (and had won multiple times). Our team played well together and in the end it showed with the results. With this being my first NAC I can’t imagine having a better time or having better teammates. Despite the wins, the trophies and the well run event, I found that the most important part of the experience were the people I was playing with. The group that we had at the NAC (those who mingled at the club, those that mingled at the Hotel and those that played together) were an awesome group of people. You could hear us cheering each other on from all areas of Juan De Fuca LBC. You could hear us cheering each other on in our late night carpet bowl games at the Hotel. Most importantly you could see the friendships being built over the week between those who already knew each other and those who just met. For those in attendance I heard nothing but compliments on how encouraging each team was. I knew that if I faltered during a game not only was there someone there who would lift me up and push me forward, but I also knew my team would be there to help pick up the slack. When someone played a fantastic shot, you could hear the roars from every green and everyone in attendance. It was magical. Canada played well and was represented the country well. I hope you compliment those who played when you see them. I also hope that going forward into the World Championships, Commonwealth and other major events, that we find the same encouragement and the same chemistry that we had at the NAC. Bester Boy doing his thing….